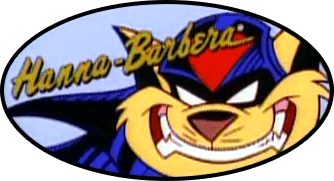 Due to ongoing technical difficulties and life in general I will not be making SWAT Kats AMVs for the indefinite future. I'm so sorry. I know how frustrating things can be. You have a vision of something you want to do and every turn you make there's something that tries to hold you back. I hope things will get better for you soon. Worst case, blast threw lifes problems, villen style well metaphorically . And it does sound like the perfect music for them too. Did you have anything in-progress made of the video to go with the music? Felony wrote: Did you have anything in-progress made of the video to go with the music? About 1 second of footage. I think I just need to rest for a while. Maybe then I'll be ready to continue on. I'm very sorry to hear. I hope things improve for you. I don't think I like what you're insinuating with that question, Felony. I have no doubt that a lot of time and effort has been spent on the OP's project. Rusakov wrote: About 1 second of footage. And, that must've been some second. Alas, we may never know what wonders the world has been denied by this truly unfortunate news. Please, take all the time you need, and perhaps someday, that second can be recovered... and dare I say (though hopefully this isn't putting too much pressure on you, so please don't take it as such) maybe even 2 seconds* can be accomplished. *I realize that's a 200% increase, so it may not be a realistic goal. I was a pretty stressed out wreck until just a few days ago. Plus the editor turned out to be too unstable still (I'm using a non-Mac-non-WIndows operating system so choices are limited). I'll have to move my files onto a Windows laptop I buried in my closet. I guess I posted this because I feel like I need to explain why I'm not delivering on things I promise. Rusakov wrote: I wasn't aiming to be funny but you're welcome. My apologies. My sense of humor is a little off-beat at times. Rusakov wrote: I guess I posted this because I feel like I need to explain why I'm not delivering on things I promise. That's fine. Take care of what you need to. Rusakov wrote: I was a pretty stressed out wreck until just a few days ago. Plus the editor turned out to be too unstable still (I'm using a non-Mac-non-WIndows operating system so choices are limited). I'll have to move my files onto a Windows laptop I buried in my closet. I agree It is hard to know online when someone uses humor or not and even in person depending on the person if they're trying to be funny. My dad was like that and my mom always took it the wrong way which is probably why things didn't really work out lol. But hang in there take one thing at a time, do what you can handle and lean on support for when you need it. Hopefully there's someone you can find to lean on. And don't forget to do something that relaxes you just to be good to yourself.